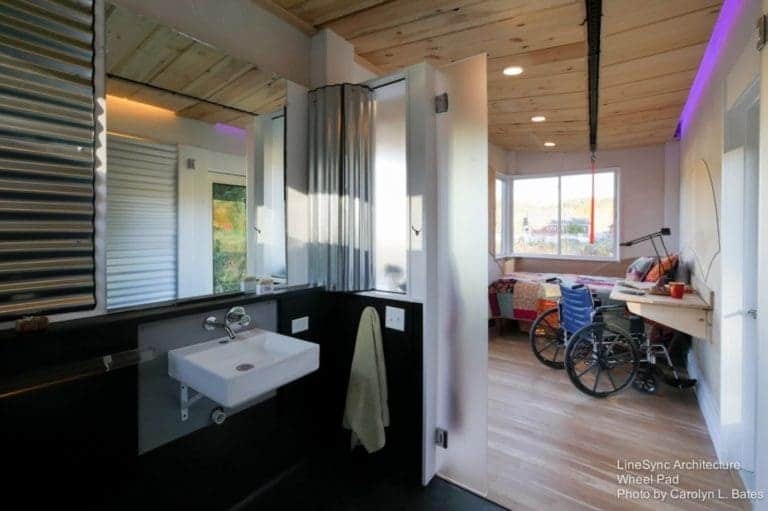 Life-changing injuries are never part of the plan, and houses are not in general very wheelchair accessible. 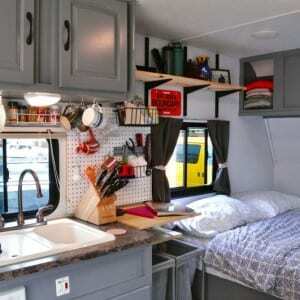 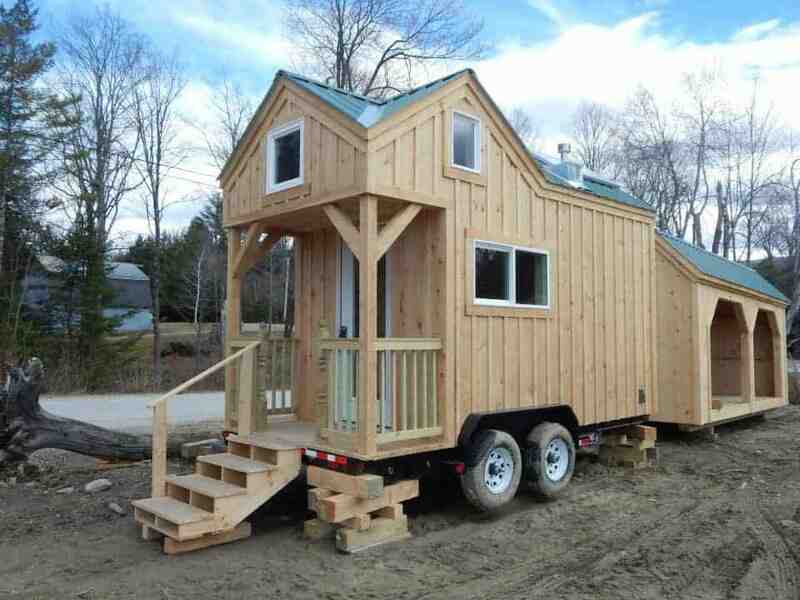 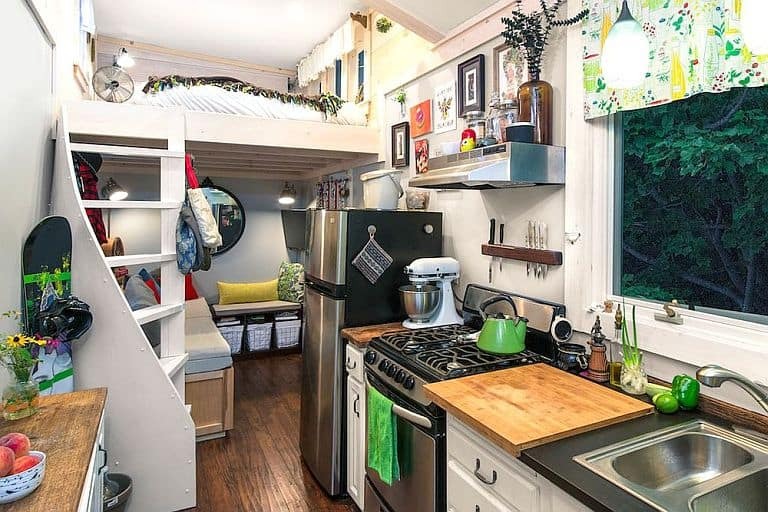 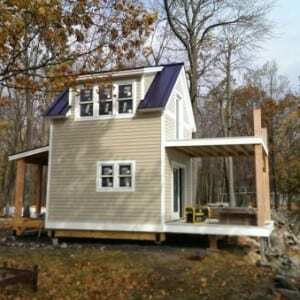 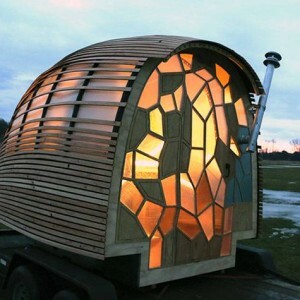 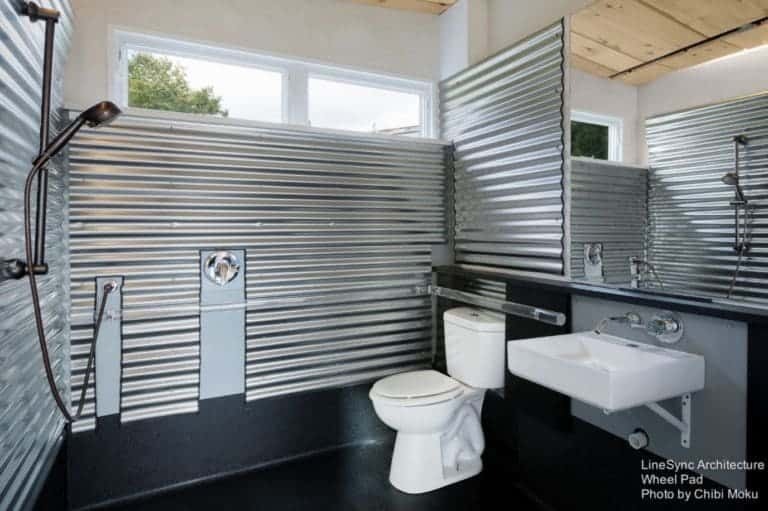 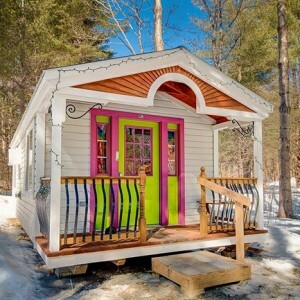 That goes double for tiny houses, of course – think lofts, ladders and cramped bathrooms. 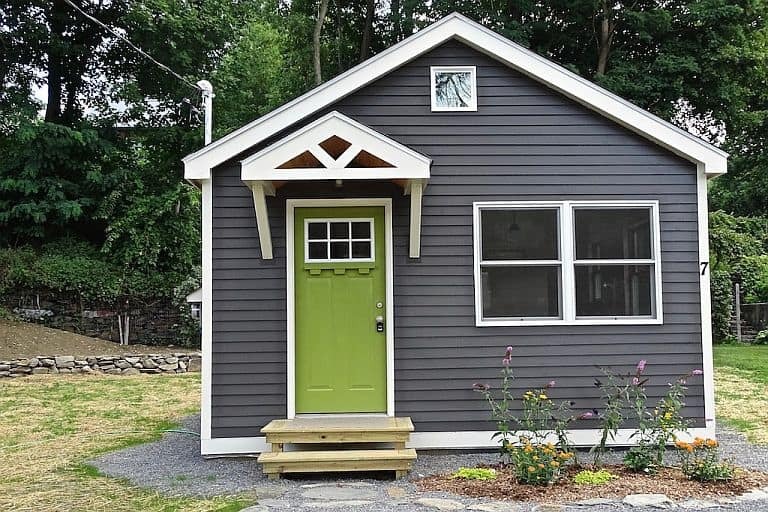 But after a disabling accident, adding a handicapped-friendly tiny to the yard could be a lot easier than retrofitting an existing residence. 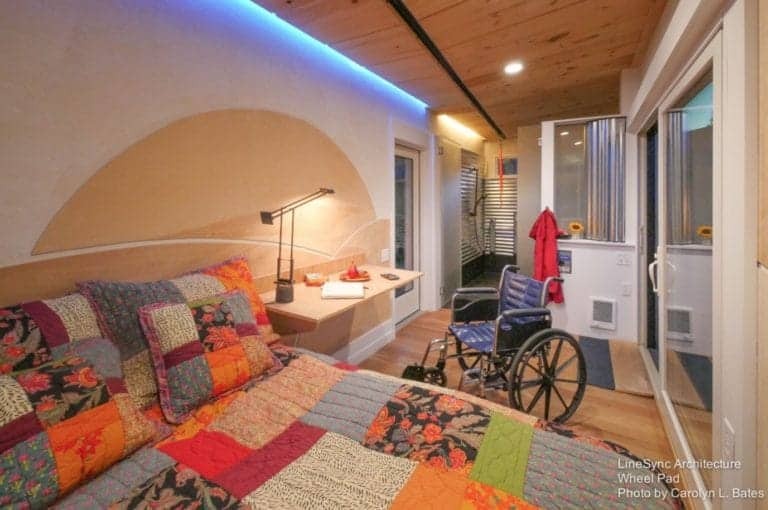 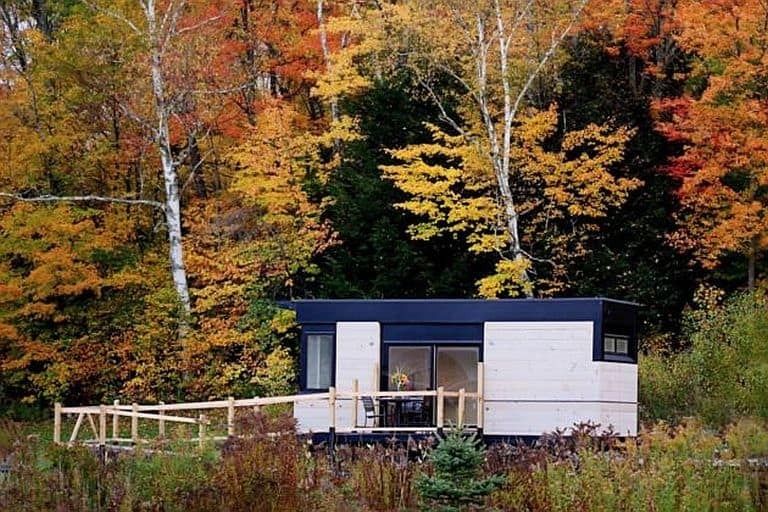 There have been a few accessible tiny homes already, like the studio37 prefab and most notably NextDoor Housing’s Drop Home, and now there’s another one: the Wheel Pad. 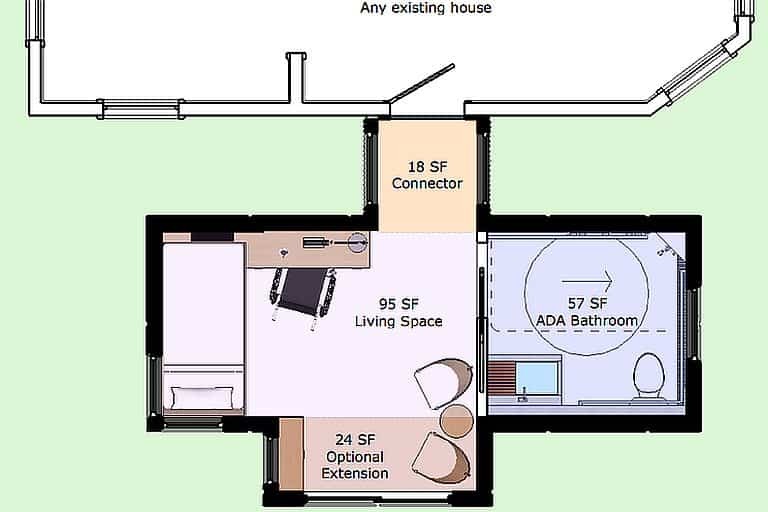 It’s basically a simplified THOW whose floor area is divided between a sleeping/living area and a giant bathroom able to accommodate a wheelchair. 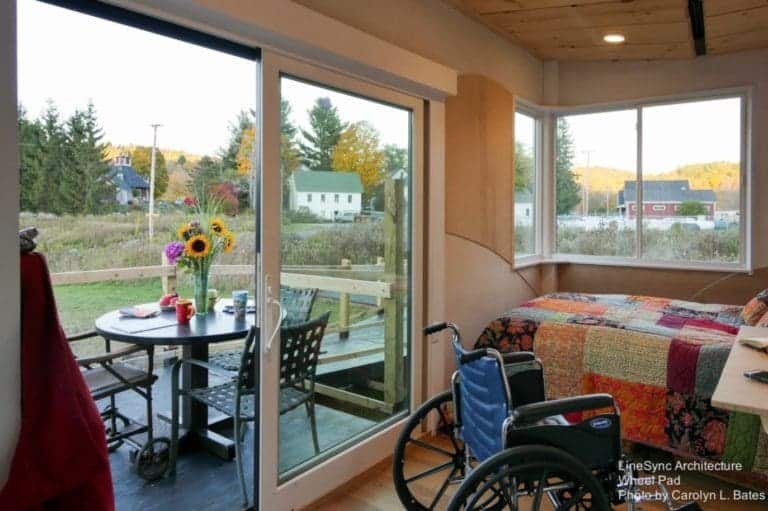 There are no kitchen facilities, because the Wheel Pad is conceptualized as a temporary living solution for new wheelchair users who will have assistance from family or friends while making the transition. 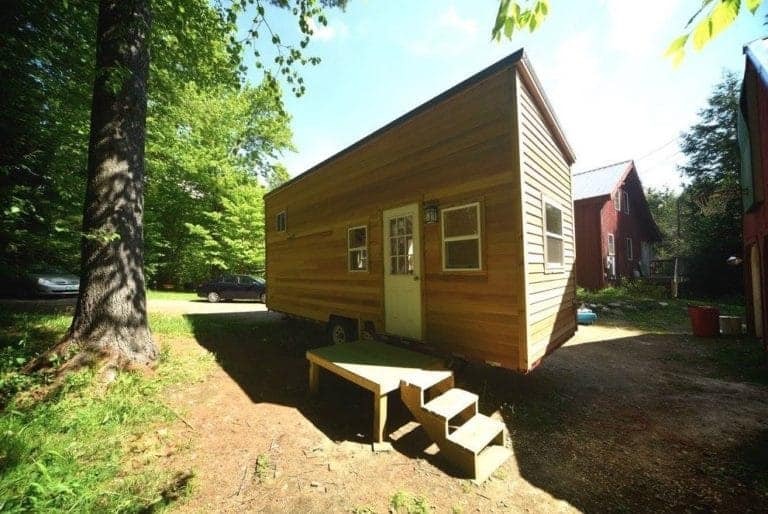 In fact, there’s a provision to connect the unit to a larger house to make that easier. 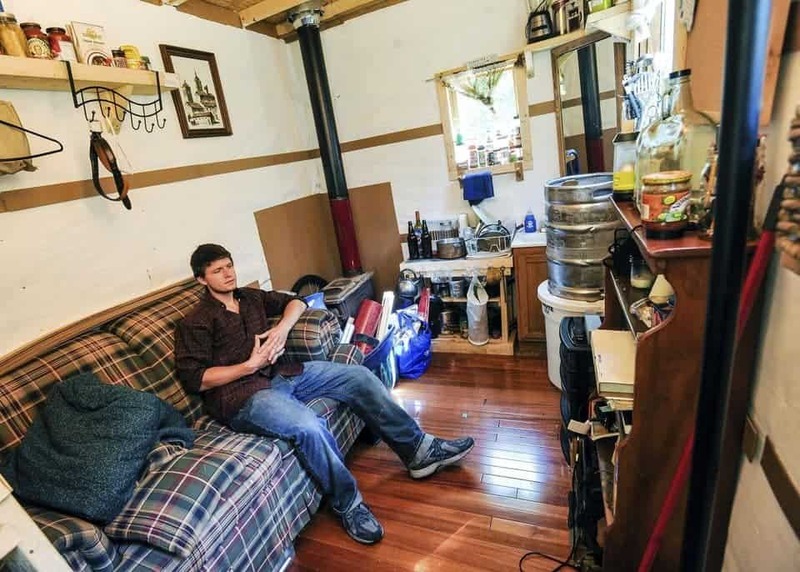 The prototype Wheel Pad in the photos is called the Norwich Model after Vermont military college Norwich University, whose students and professors helped out with the build. 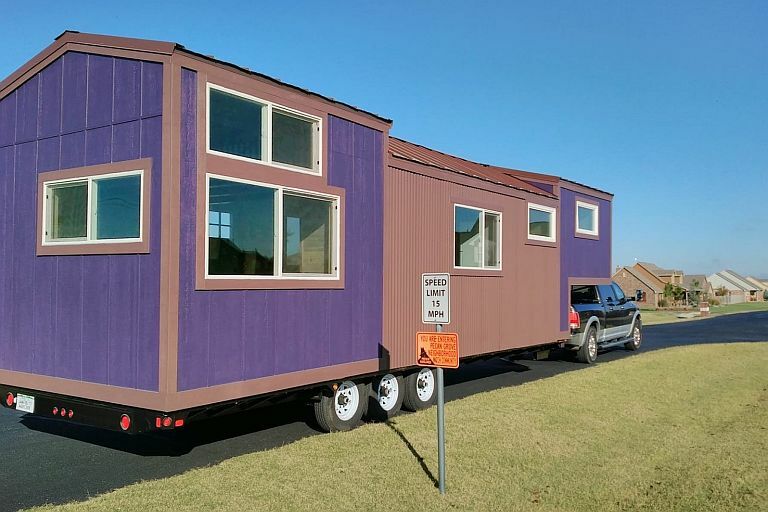 It was designed by Joseph Cincotta of LineSync Architecture and will be made available free to area residents in need (an application can be found here). 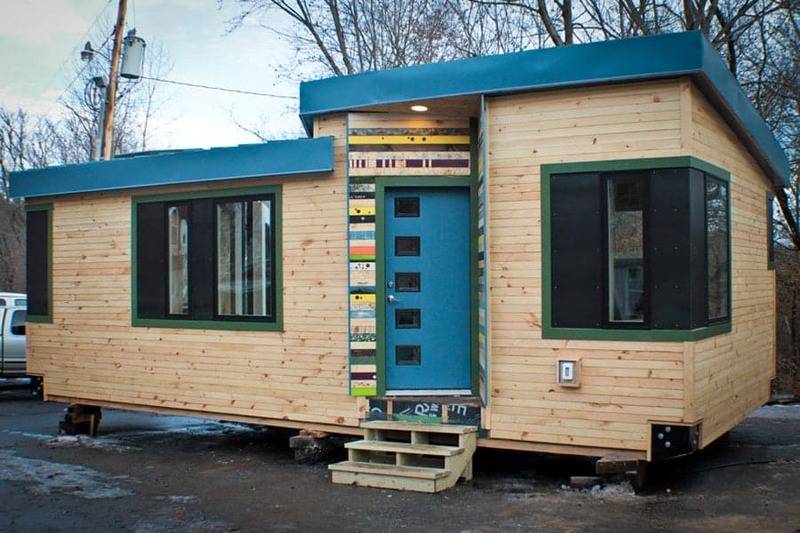 Future units will be marketed by a company called Wheel Pad L3C for sale at $50,000 or lease at $1,500 per month. 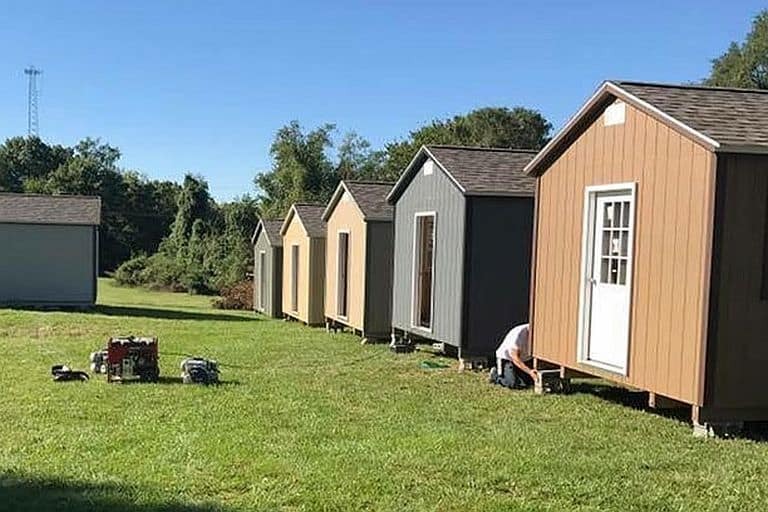 They hope to help out wounded veterans and other newly disabled people while also benefiting the southern Vermont economy by providing jobs at an employee owned factory.